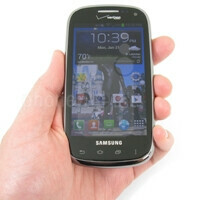 When Verizon introduced the Samsung Galaxy Stratosphere II last November, we were a bit disappointed that instead of launching with Android Jelly Bean, that it came with 4.0.4 Ice Cream Sandwich. But a few months later, we were glad to see that it was being updated to Android 4.1 Jelly Bean after all. 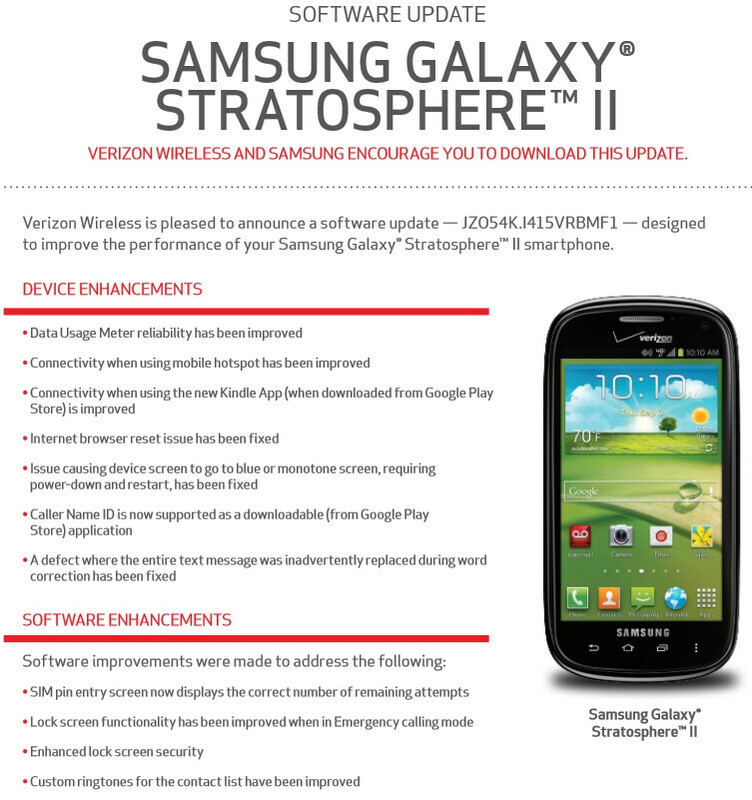 Now, Verizon is sending out the next update for the Samsung Galaxy Stratosphere II, through still at Android 4.1, the software version is I415VRBMF1 and comes in at 91MB in size. According to the documents, this newest update includes an improvement to the Data Usage Meter, connectivity when using Mobile Hotspot, connectivity when using the new Kindle app, Internet Browser reset issue has been fix, resolved an issue with screen going blue or monotone that required a device restart, Caller Name ID app is now supported, and a defect where the entire text message was replaced during word correction has been fixed. Other enhancements include SIM pin entry screen now shows remaining attempts, lock screen improved when in emergency calling mode, enhanced lock screen security, and custom ringtones for the contacts lists is improved. There's no word yet if this update also blocks the Stratosphere II from being rooted and unlocked, which is the case with the newest update for the Galaxy S4.